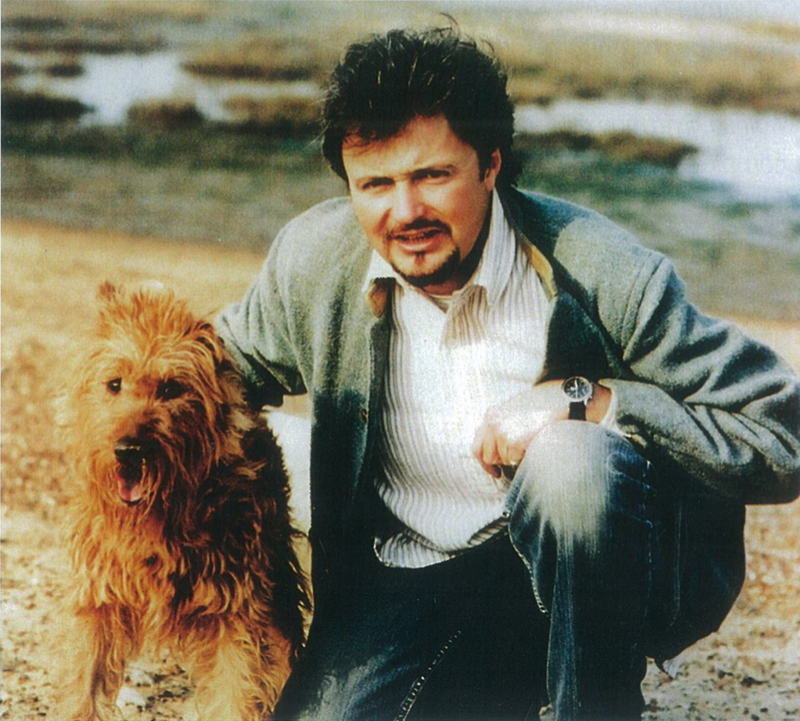 I am very pleased to have become a patron of the Irish terrier association. 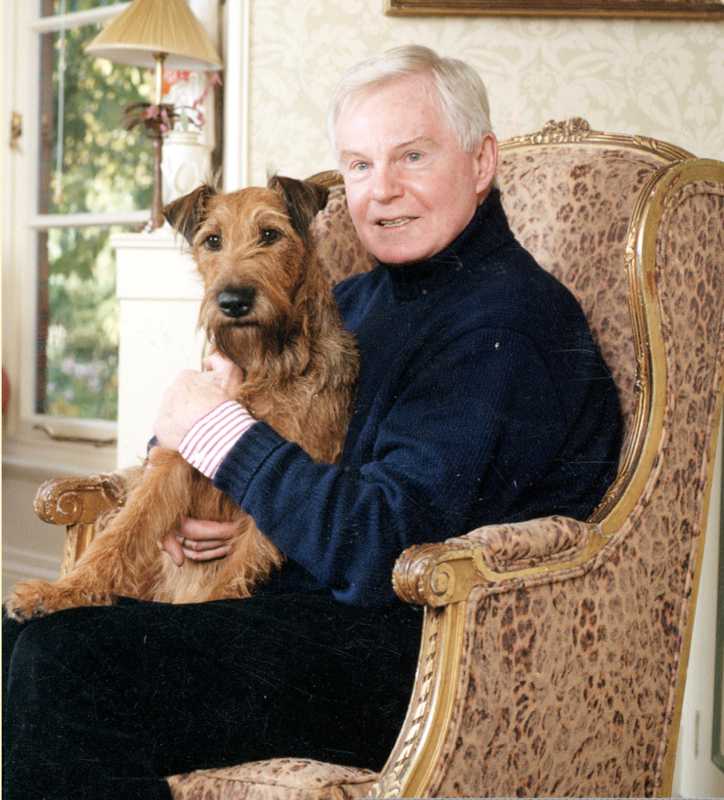 I grew up with Irish terriers and they have remained a favourite Breed. Polly was my first she was a great character and a wonderful companion for a child. She was followed by Hector and then our present boy Jupiter, both the boys have been feisty characters but then perhaps they have tried to live up to their names! Jupiter is very much in charge of things at Holkham and keeps an eye on everything, he never leaves my side unless of course the children are at home. He joins in with everything they do even boating on the lake and being rescued by my daughter Juno when he falls in. They’re a great Breed and I love having them as part of the family. I am delighted to be a patron of the Irish Terrier Association because of Bella. 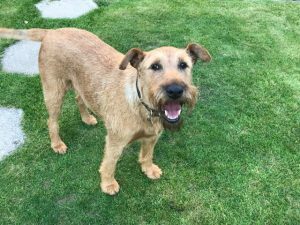 She was our first dog and it is difficult not to agree that she was the best Irish Terrier ever! We have met and loved so many others but they of course, come a close second equal. Her nature was inquisitive, friendly and gentle, although she did from time to time have to sit on the naughty step. Her joy at travelling to France made her the perfect social companion. She loved and was loved by children. Her sweetness was infectious and her charm irresistible. What a sensational and cherishable example of this great and wonderful breed. 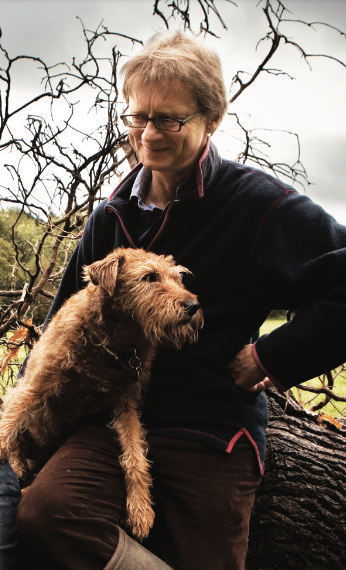 My first Irish Terrier, Hattie, arrived as a wedding present in 1984. She soon became an integral part of the family enjoying a split life in London and the New Forest. She took to boating (although not a lover of water) and shooting with enthusiasm. For the first four years she was an ‘only’ but soon adapted to the arrival of my eldest daughter. However whenever possible she occupied the carry cot and then the car seat to make it clear she was the first, and favoured child. Isobel was next and was dearly loved and today we have our dear Nonny. Since then the Irish Terriers have been an important part of our family life, enjoying three more children for whom they have always reserved especially affectionate greetings. Even today the sound of children’s voices evokes excitement and requests for a game or a walk. I have always prized their loyalty and their (not always occasional) waywardness. They enjoy family life to the full and have welcomed a miniature Dachshund and a Labrador into the fold whilst preserving the all-important pecking order. It is hard to envisage life without one.